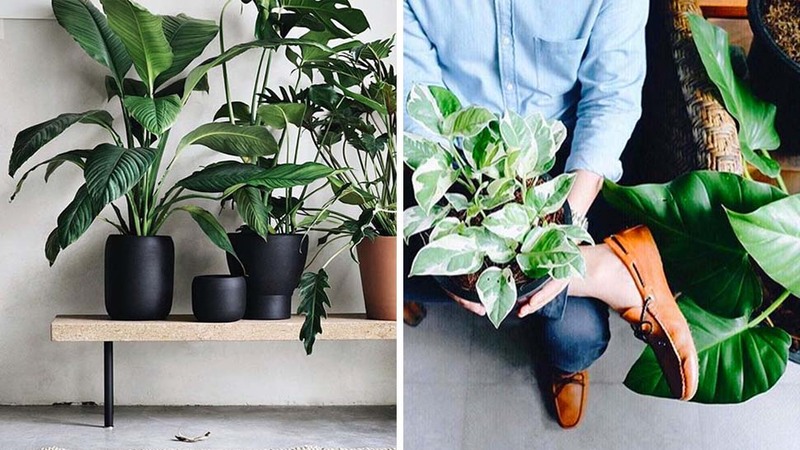 A list of lovely plants and accessories from below P100, P500, and up! Plant sellers seem to be 2017’s version of the Bubble Tea, and it’s easy to grab a potted plant that would die on you the very next day. 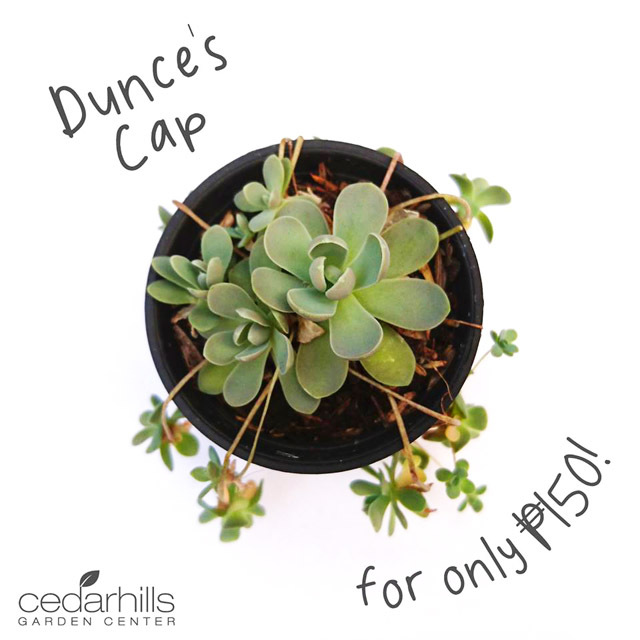 This garden center in Quezon City is not only a one-stop-shop for gardening goods like seeds, pots, accessories, and fertilizers, it is also a good source of gift items, like these tiny potted Dunce Cap, Haworthia, and Othonna succulents that sell only for P150 each. The center also sells potted herbs like basil for as low as P50 per piece; you can buy these in bulk and wrap them in burlap to give out as gifts. 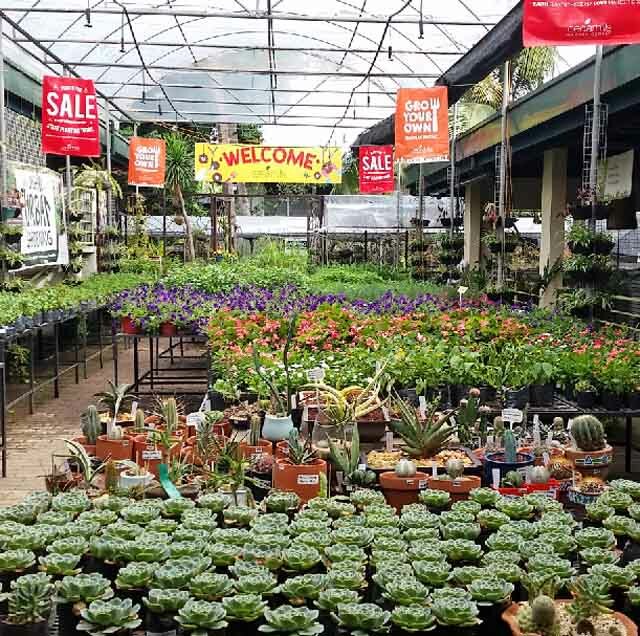 They also have a three for P100 promo on selected varieties of cacti and succulents. These Millennial green thumbs were one of the first to offer organic grow kits in the country. 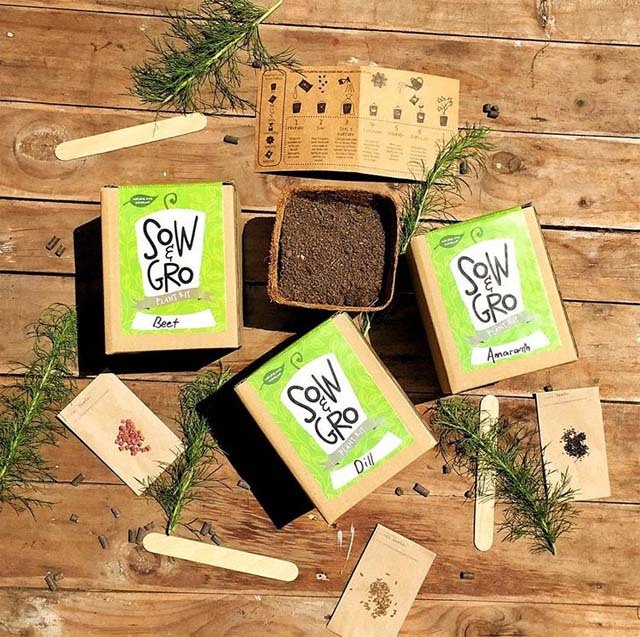 Their Sow & Gro kits—which contain a small coconut husk pot, a bag of potting mix, seeds, whimsically-printed instructions, and a plant marker—make great gifts for those who want to grow their own edible garden. A tomato, sunflower, or basil grow kit costs P89; cilantro, parsley, and arugula go for P150. All-around crafter and urban gardener Marvz Conti is known for his raw-industrial, wood-themed terrariums and crafts. 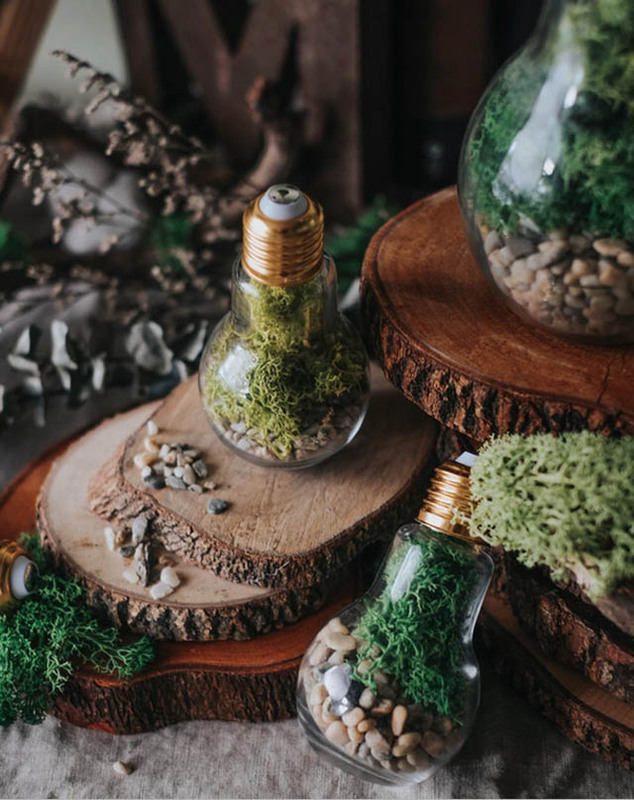 This hip aesthetic carries on to his living creations, such as these zero-maintenance (as in: no need for watering) “terrabulbs” filled with reindeer moss, that go for P325 and up. 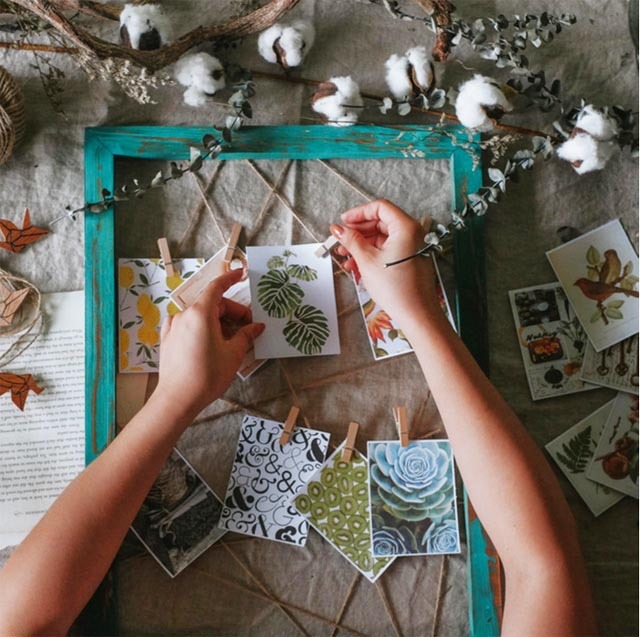 Habil Crafts also carries other non-plant items, such as whimsical wood pins that cost only P199 each, and this rustic wood and string frame (where you can display photos of your plants, natch) that sells for P749. READ: Do You Want To Start A Garden In Your Condo? These guys sell the quirkiest and most original planters we’ve seen! 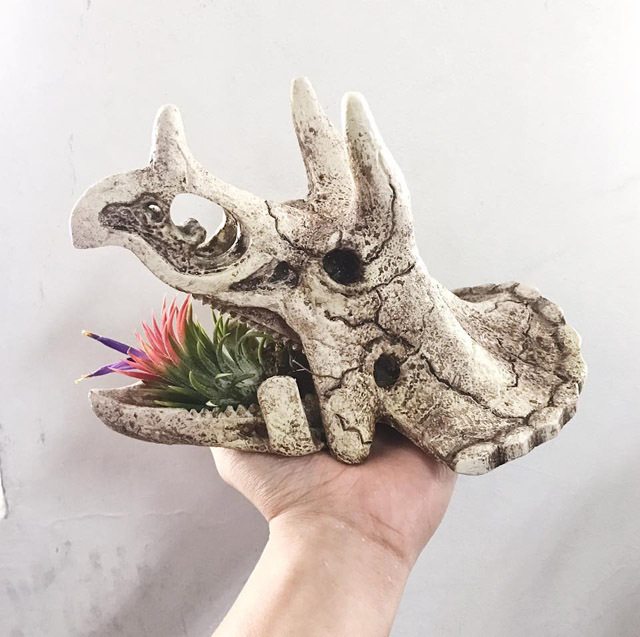 The colorful dinosaur pots would look cute in a little boy’s room, while this dinoskull planter (sells for P950 and up) will look cool in a man cave. Partners Bern and Jolo have gone beyond green thumbs to become advocates for plant parenthood. “We want our customers’ plants to grow and thrive, and not get thrown away after some months just to be replaced with new ones,” says Bern. 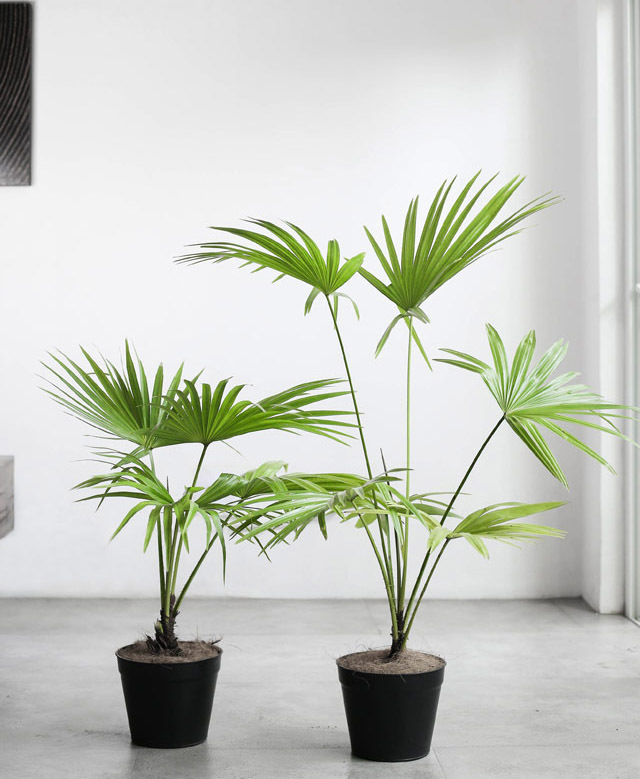 Medium sized plants such as these Licuala Grandis and Livistona palms (above) sell for P800 to P1,500, while the bigger plants go from P3,000 to P5,000. They also offer landscaping services, and offer kindly plant care advice, as well. Artist Jeng Cabrera started her plant biz with Sucker for Succulents, but then she branched out into pottery making. 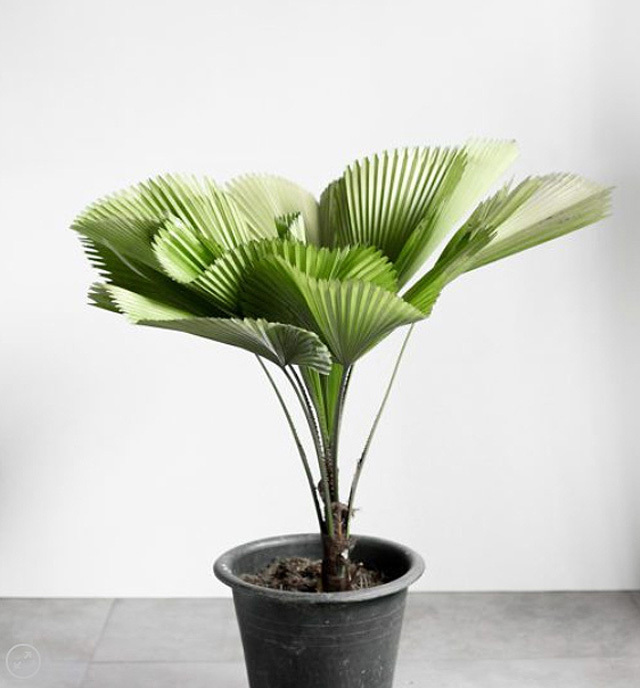 She eventually combined the two in Bijin Crafts, where she sells her collection of plants such as delicate ferns, Buddha bamboo, and Philodendrons partnered with her hand-thrown pottery planters, found baskets, and her own paintings. 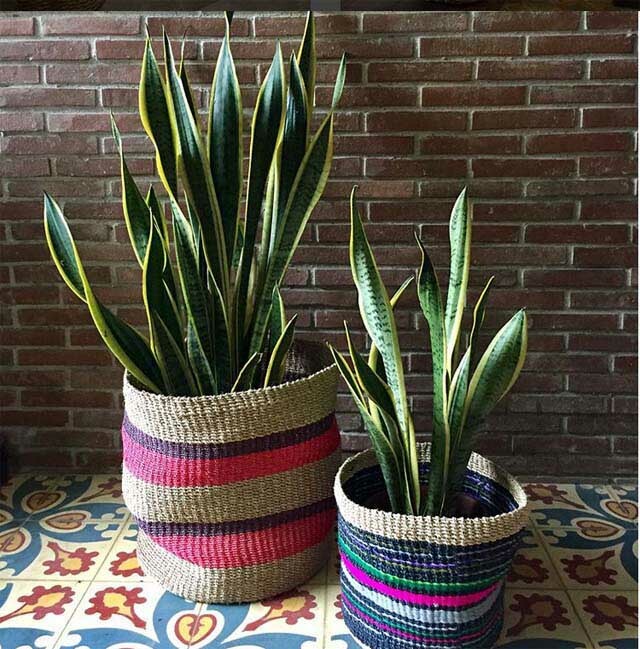 The large potted plants sell for P1,700 to P4,500, planters included. 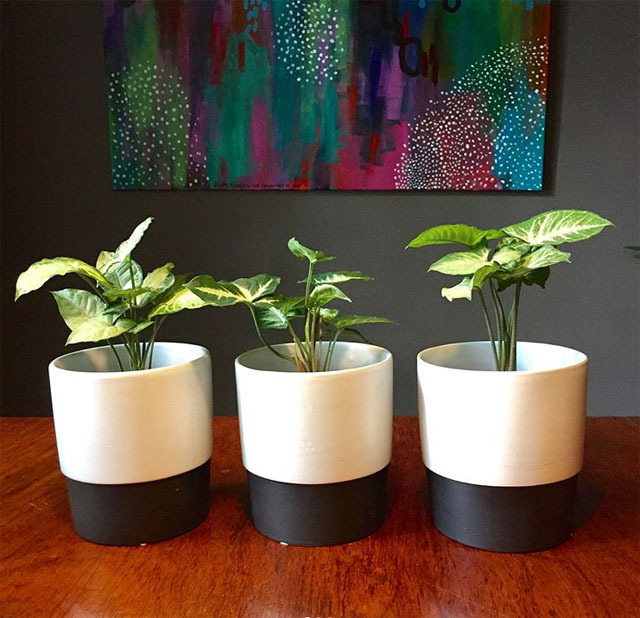 The planters are one-off pieces, and get sold at once, so check out her account for new offerings. 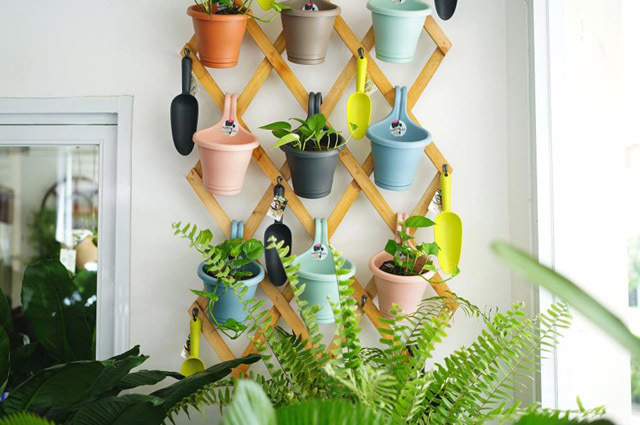 This newbie plant and gardening store just opened last November 12, but it is making its mark as a purveyor of modern gardening accessories, such as the sleek Capi Europe and Elho planters (above) from the Netherlands. Prices range for as low as P100 for the smallest planter to P30,000 for the biggest, hotel-size planter. They also carry cute notebooks, keychains, and canvas bags that are great as stocking stuffers.